PM Bullion Closed-End Funds: Helping or Harming? This may be the first time I have ever written a RANT topic in the morning. However, when I compiled the below data, I felt compelled to put it ahead of the queue. Over the past decade, NO ONE has done more analysis on the closed-end funds CEF, GTU, and SVRZF (run by the Spicer family); and the more recently public Sprott funds – PHYS and PSLV. I don’t hold positions in these funds today – and likely NEVER will due to the heightened risks described below – but have in prior years. 1. Systemic risk – if stock markets, banks, or brokerages where such stocks are held or traded are suspended, you may never see your investment again. 2. Taxation risk – The government could impose “windfall” capital gains taxes at any time. 4. 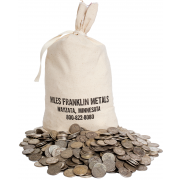 Redemption Risk – In the “Spicer funds,” share redemption for actual metal is not permitted. For the “Sprott funds,” redemption is possible in certain situations, but only in large amounts. 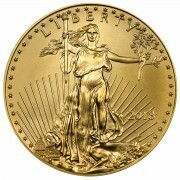 More importantly, the gold and silver held by these funds is the least desirable in the bullion investment universe. The PHYS gold fund generally holds 400 ounce bars that few individuals on the planet can afford, while the PSLV silver fund holds 1,000 ounce bars. In the real world, such bars often trade below NAV due to their impracticality; let alone, heightened counterfeiting risks. 5. Confiscation Risk – Although infinitesimal, in my view (as I believe Canada to be one of the safest PM jurisdictions in the world), the giant, well-documented stashes of PHYSICAL gold and silver could have giant “X’s” on their back during a monetary crisis. 6. “Trigger Risk” – The ease of selling such funds with the “click of a mouse” often causes investors to “pull the plug” during sharp declines; just as they do with mining stocks. The Cartel knows this, and uses this psychological “fear factor” against you. 7. Proxy Risk – This is the risk the funds do not perform as well as the underlying gold and silver – which is entirely possible; as by definition, CLOSED-END FUNDS can trade at either a premium or discount to NAV. I have long discussed my suspicion the Cartel naked shorts these funds to keep the premiums low; knowing (particularly in the case of the Sprott funds) that as soon as the premium reaches a reasonable value, new offerings (and metal purchases) will be made. Alternatively (and/or concurrently), the NAV premium could contract (or discount widen) due to the aforementioned risk factors; just as is the case with the GLD and SLV ETFs – which currently trade at 3% discounts to their underlying Net Asset Values. Better yet, I went to CEFConnect – a database of Closed-End Fund data – to find graphs of the historical performance of these funds. To start, here’s CEF (Central Fund of Canada); which as you can see, averaged a roughly 7%-12% premium to NAV for the first decade of the PM bull market. I will not speculate as to a specific cause (or causes) of the atrocious recent performance; at a time when access to HONEST, LIQUID, PHYSICAL gold and silver assets should arguably trade at higher premiums. However, the “proof is in the pudding”; and don’t think for a second they can’t decline to steep discounts to NAV in the future; particularly as governments become MORE desperate to suppress PM prices. Thank you Andy for all that you do and research. I read all of your rants and through them I become more and more educated on how to protect my family’s assets. I consider folks like you to be warriors in the battle against corrupt banks, governments, and financial institutions. My heartfelt thanks. People like you is why I love writing so much! I dont think Ive missed one of your broadcasts. Great Job. 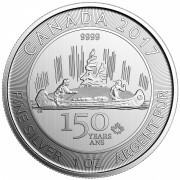 If I store 10,000 ounces of silver in canada thru M.F. then I cannot retrieve my 10,000 ounces from the canadian storer unless I go thru MF? Is this correct? If M.F. disappears I am out of luck? 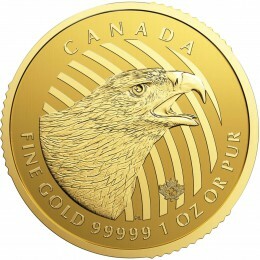 2nd question: being a us citizen, if the us govt requires all gold or silver holdings turned in am I firewalled by MF from this demand by foreign holding of my holdings in canada? keep up the good work Andy,, H..